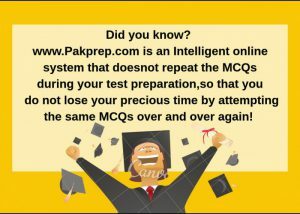 Minimum 60% marks are required in FSc Prep-Medical or equivalent examination having minimum 12 years of education. Candidate must have passed, obtaining minimum 60% marks in aggregate in an examination of a course from a foreign college. Pakistani students passed from foreign education system (i.e. O level, A level etc.) in Pakistan shall not be eligible for foreign quota seats. Candidate must have passed English language proficiency test e.g. TOEFL or ILETS with a minimum score of 5.5 or have a certificate by NUML after one year English language course. Overseas candidates can also apply if they have passed SAT-II with minimum of 550 marks in each of three subjects. No candidate shall be eligible for foreign quota seats until they holds a permanent foreign nationality or dual nationality. Candidates who appeared in ETEA/MDCAT/SAT-II (passed with minimum 550 marks in each subject) are eligible. Candidate who meet the eligibility criteria shall download/print the admission form, admission policy and bank deposit slip available at kmu.edu.pk. Candidates are required to deposit Rs 2500/ (for each category of seat) in any branch of MCB bank on prescribed deposit slip as application processing fee on or before the last date. The application forms complete in all respects along with original bank deposit slip and required attested documents shall be submitted by hand at KMU from 9 AM to 5 PM seven days a week. Incomplete applications shall not be entertained. No form will be accepted through mail/courier. Applicant shall give his/her preference in order of priority for the Private Medical/Dental Colleges in the desired field provided in the form which once provided to KMU will stand final.